The popular “Paradise Island Band” will return for the 22nd annual Taste of the Arts On Friday, May 20. The group will perform from 5:30-8:30 p.m. that evening in the Main Entertainment Tent at the south end of the 300 block of N. Main Street. This six-piece powerhouse dance band hails from Columbus and has been entertaining audiences throughout the Midwest for nearly three decades. Known for a crowd-pleasing diversity of style, Paradise Island, a Columbus-based group, does it all. Their music from the 60’s through today ranges from rock classics to Motown melodies to blues, funk and current hits. They play with a power and authenticity that guarantees a party wherever they perform. Members of the group include Shaun Booker, female singer; Dave Hall on keyboard; Bobbie Stead, lead male vocalist and guitarist; Jeff Peters on drums; Richard Kolb, bass player and Kris Keith on woodwinds and brass. 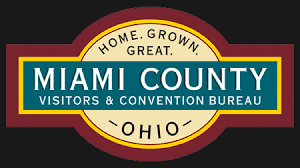 “Paradise Island” will entertain and have everyone singing along and having a fun time,” said Lorna Swisher, Mainstreet Piqua Executive Director. “They feature an incomparable line-up of the region’s best entertainers. We are delighted to have them back again this year for a fun-filled night,” she added. “Back to School”, a local barbershop quartet, will also be providing music and entertainment as they stroll throughout the downtown area during Taste of the Arts. Quartet members include Dale McKinney singing baritone, Ron Ventura singing bass, Jim Riley is the lead and Gary Roeth is tenor. They have a combined 97 years in barbershop singing but have enjoyed music as a hobby for many years. “We just love to sing and entertain,” said Ventura, spokesperson for the group. “We really enjoy being part of Taste of the Arts and moving throughout the downtown area singing and adding entertainment for the night,” added the other quartet members. Taste of the Arts highlights area artists, offers taster-size portions of popular menu items from local and area restaurants, children’s activities and art demonstrations during the 5-9 p.m. annual extravaganza. 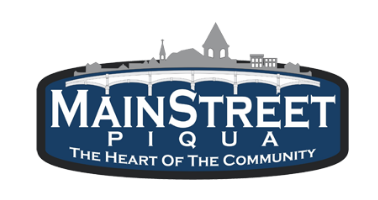 For more information about Taste of the Arts, call Mainstreet Piqua at 773-9335.